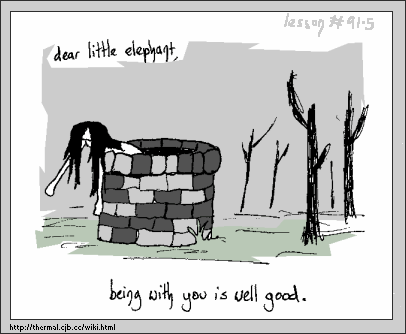 The first of a short series of Little Elephant Un-Valentines. Little Elephant appreciation month! We all love him and his homicidal tendencies. If you want to give this to someone special as an Un-Valentine, here it is without the comic border or the dear little elephant.